The preferred airport for Hilton Garden Inn Chicago/O'Hare Airport is Chicago, IL (ORD-O'Hare Intl.). Note: It is the responsibility of the hotel chain and/or the individual property to ensure the accuracy of the photos displayed. Chicagotraveler is not responsible for any inaccuracies in the photos. 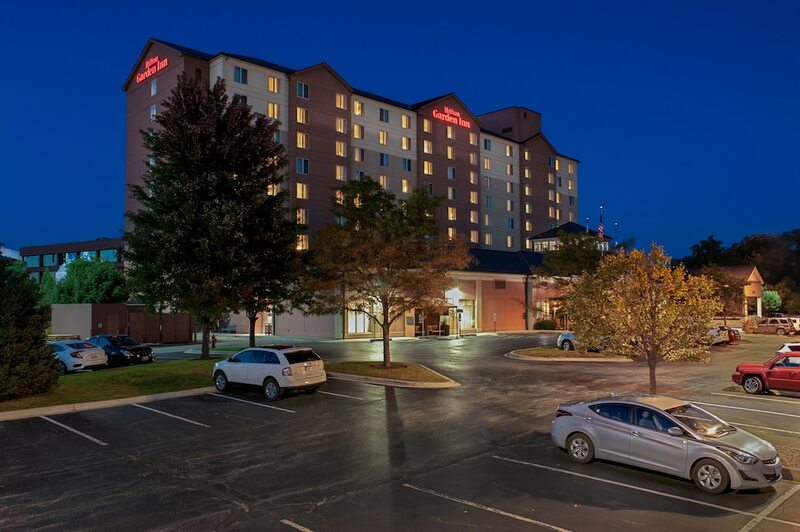 With a stay at Hilton Garden Inn Chicago/O'Hare Airport in Des Plaines, you'll be 1.9 mi (3.1 km) from Allstate Arena and 9.6 mi (15.5 km) from Frank Lloyd Wright Home and Studio. This family-friendly hotel is 10.1 mi (16.2 km) from Wagner Farm and 10.1 mi (16.3 km) from Ernest Hemingway Museum and House. Make yourself at home in one of the 252 air-conditioned rooms featuring refrigerators and microwaves. Wired and wireless Internet access is complimentary, while 49-inch LCD televisions with cable programming provide entertainment. Private bathrooms with shower/tub combinations feature complimentary toiletries and hair dryers. Conveniences include phones, as well as desks and coffee/tea makers. Enjoy a range of recreational amenities, including an indoor pool, a spa tub, and a 24-hour fitness center. Additional features at this hotel include complimentary wireless Internet access, gift shops/newsstands, and wedding services. If you're ready for some gaming fun, you can hop on the complimentary casino shuttle. Grab a bite to eat at Garden Grille and Bar, a restaurant which features a bar, or stay in and take advantage of the room service (during limited hours). Full breakfasts are available daily for a fee. Featured amenities include complimentary wired Internet access, a 24-hour business center, and complimentary newspapers in the lobby. Planning an event in Des Plaines? This hotel has facilities measuring 6900 square feet (641 square meters), including conference space. A roundtrip airport shuttle is complimentary (available 24 hours), and a train station pick-up service is also provided at no charge. This property offers transfers from the train station. Guests must contact the property with arrival details on arrival, using the contact information on the booking confirmation.